Arcan Capital is led by its two principal founders, in addition to a talented and dedicated group of multifamily experts. Jeremy Lantz is a Co-Founder and the Chief Executive Officer of Arcan Capital. 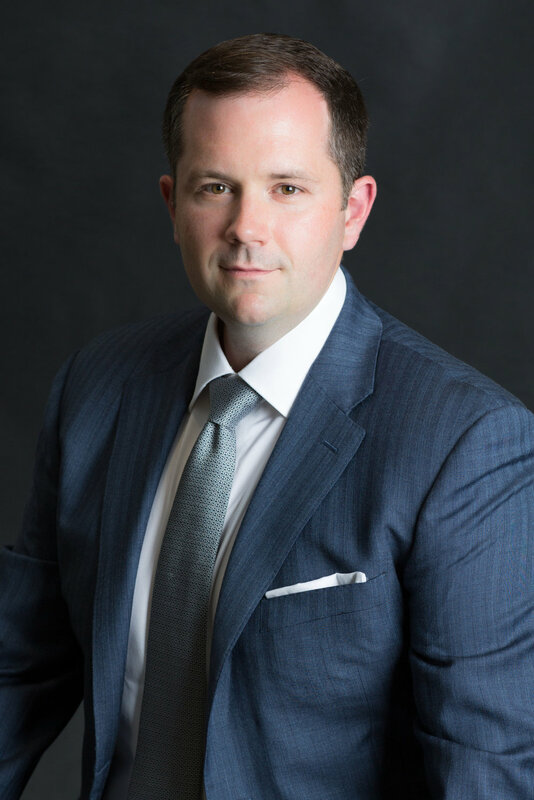 Mr. Lantz manages the overall operations for the firm and assets under management and, along with Mr. O'Brien, spearheads the strategic direction and business development functions of the firm. Mr. Lantz is responsible for the identification, acquisition, management and reporting of over 25 multifamily assets totaling over $275 million in the last five years, including the placement of over $175 million in financing with FMNA, FMAC, HUD and bank and insurance sources. Mr. Lantz received his Juris Doctorate from the Emory University School of Law. Mr. Lantz also received his Bachelor of Science in Business Administration in Economics from the Fisher College of Business at The Ohio State University. Steve O'Brien is a Co-Founder and the President of Arcan Capital. Mr. O'Brien determines the investment strategy for the firm and oversees the financial performance and reporting for all investments. In addition, Mr. O'Brien spearheads the strategic direction and business development functions of the firm with Mr. Lantz. Mr. O'Brien is responsible for the identification, acquisition, management and reporting of over 25 multifamily assets totaling over $275 million in the last five years, including the placement of over $175 million in financing with FMNA, FMAC, HUD and bank and insurance sources. Prior to Arcan, Mr. O'Brien was with CBRE. During his career in commercial real estate, Mr. O'Brien participated in the acquisition, financial structuring, underwriting, management and sale of several billion dollars worth of assets in all major product types including multifamily, office, retail, industrial and residential. Mr. O'Brien received his Bachelor of Business Administration from Emory University's Goizueta Business School with depths in Finance and Marketing. Mr. O'Brien is a licensed real estate Broker in the states of Georgia, North Carolina, South Carolina and Alabama. Emily Patton is the Controller and an Investment Associate of Arcan Capital. Ms. Patton oversees the financial operations, accounting and acquisitions process for Arcan. Prior to joining Arcan, Ms. Patton served as the lead accountant for the apartment property portfolio of another Atlanta based manager co-founded and run by Mr. Lantz and Mr. O'Brien. She is an expert in financial reporting and Yardi property management software and is an integral part of Arcan's due diligence and acquisitions process for apartment properties. Ms. Patton received her Bachelor of Business Administration in Finance from Kennesaw State University's Coles College of Business. Ms. Patton is a licensed real estate agent in the state of Georgia. Carrie O’Brien is the Chief Compliance Officer for Arcan Capital. Ms. O’Brien oversees compliance associated with investment and property management activities for the firm. Prior to joining Arcan, Ms. O’Brien spent over a decade as the general manager of a family office in the Metro Atlanta area. During her time in management, she oversaw operations and was actively involved in the selection and management of multi-million dollar investments in real estate, businesses and financial markets. Ms. O’Brien received her Juris Doctorate from Georgia State University College of Law. She also holds a Bachelor of Business Administration in Real Estate from Georgia State University. Ms. O’Brien is a member of the State Bar of Georgia. Sumyr Bediako is the Corporate Operations Assistant for Arcan Capital. Ms. Bediako provides support and assistance in all property management related operations. Prior to joining Arcan, Ms. Bediako was instrumental in managing and cross-training team members and facilitating and improving onboarding procedures for large portfolios for a multifamily property management company based in Atlanta. Ms. Bediako received her Bachelor of Management with a concentration in Human Resources from Kennesaw State University. Ms. Bediako is pursuing her Master’s in Human Resources at Kennesaw State University. April Hodge is the HR Generalist for Arcan Capital. Ms. Hodge oversees all Human Resources functions for Arcan and its portfolio of multifamily properties. Prior to joining Arcan, Ms. Hodge gained over a decade of valuable experience in Human Resources by serving in various human resource roles in several different industries. Ms. Hodge studied Sociology at the College of Charleston and Human Resource Management at Strayer University. Shauna Lantz is the Director of Marketing and Design for Arcan Capital. Ms. Lantz oversees all marketing, branding, graphic design, photography and social media for Arcan. Prior to joining Arcan, Ms. Lantz founded and ran a successful photography business in Atlanta. Ms. Lantz studied Marketing at Kennesaw State University and Photography at the Atlanta School of Photography. Erica Rutledge is a property accountant for Arcan Capital. Ms. Rutledge oversees all property accounting functions across the Arcan portfolio. Prior to joining Arcan, Ms. Rutledge received a vast amount of experience in different accounting-based roles for various property management businesses. Ms. Rutledge received her Bachelor of Interdisciplinary Studies from Georgia State University's College of Education. Ms. Rutledge is pursuing her Masters of Accountancy at Georgia State University. Savannah Thomas is a property accountant for Arcan Capital. Ms. Thomas oversees various property accounting functions across the Arcan portfolio. Prior to joining Arcan, Ms. Thomas received significant experience in multiple accounting roles with another Atlanta based business. Ms. Thomas received her Bachelor of Business Administration in Finance from the University of Georgia’s Terry College of Business. Ms. Thomas is a licensed real estate agent in the state of Georgia.